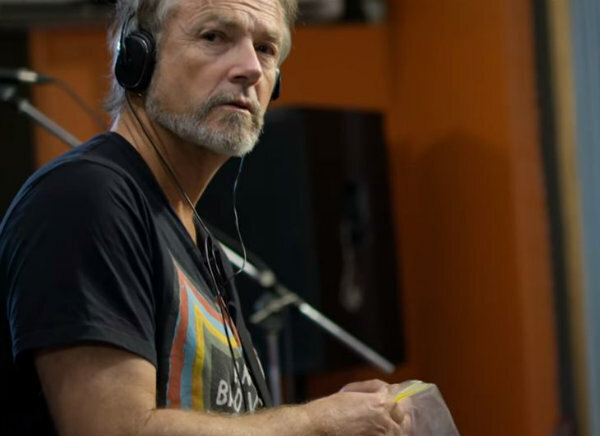 Director Mike Brook’s “warts and all” documentary on Steve Kilbey of The Church — based on the frontman’s memoir, and titled “Something Quite Peculiar: The Life & Times of Steve Kilbey” — will premiere next month at the Melbourne International Film Festival in Australia. A minute-long teaser of the film can be seen below. The 85-minute documentary will be introduced at the Aug. 5 and 9 festival screenings by Brook and Kilbey, and both will participate in post-screening Q&As to discuss the project. This is going to take a while to get through if you’re ASMR sensitive. I’m already a fern I’m so relaxed from watching this! I hope this becomes available in the States in the near future. Steve Kilbey is one of the most fascinating and engaging musicians of all time. Once upon a time Church were my fave band, probably for the longest phase of my life. Kilbey is a staggering lyricist with singular vocal style… I just don’t know what to think of the break with Willson-Piper though; still never heard exactly what happened and can’t bring myself to see them since he’s departed. Steve has lately seemed so dramatically different in attitude from the bandleader who fascinated me on the early work… not that as time passes for both fans and artists it’s necessarily a bad thing, but… I wish him well and hope to somehow catch the documentary here in the US. Have you listened to any of the post Willson-Piper music from The Church? “Further/Deeper” is one of the best albums they’ve ever released and I say that as a fan since 1980 who owns almost every Church or Kilbey related release in the last 37 years. Marty’s departure was a shock at the time and many predicted the band would never be as good without him. I would argue it ain’t better, or worse, in any dramatic way, simply still as brilliant as it’s always been. The new song – “Another Century” – bodes very well for a continuation of their high quality control into the next album too. As for Kilbey, the times I’ve met him, he’s way more chilled and friendly in public compared to the aloof and somewhat arrogant (by his own admission) young man he once was. Maybe try reconnecting with the latest Kilbey/Kennedy album “Glow And Fade”? For anyone with even a casual interest in Kilbey’s work, this is almost a career high and is pure-essence Kilbey at his absolute best. This man has never rested on his laurels and remains a vital creative and artistic force to put musos half his age to shame. How many other artists still creating in their fourth decade can you say that about? Most simply play the nostalgia circuit and have given up on even attempting to reattain previous highs ala Pete Townshend or Robert Smith. Kilbey has pursued the road less travelled with the likes of Robert Plant, David Byrne and the late, great David Bowie, which I for one applaud. I would actually argue that their 2000’s work is better than anything. Forget Yourself set a new level for them. A stunning masterpiece, I’d say that Tim Powles inclusion in the band took them to another level. And while I loved Marty, I love Ian Haug as well.